Companies strive hard to drive consistency in their sales process and communication. It is a tough challenge and battlecards has been a ‘new kid on the block’ for some time now. Increasingly I see companies use the term (and the tool) more frequently and here are some insights I gleaned from conversations with over 30 sales leaders in Silicon Valley. The needs for onboarding new hires and quick reference material are very different. It is important to think of those separately and create separate materials for it. 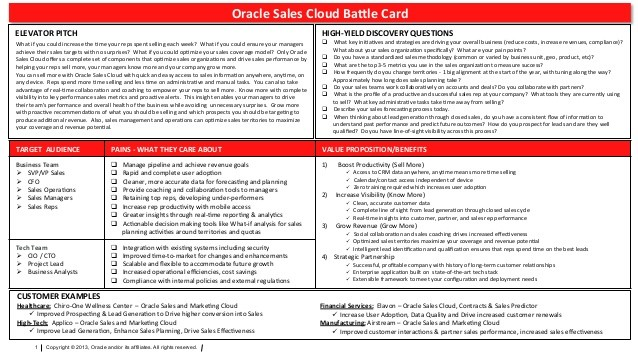 If your sales battlecards look like this, don’t expect sales people to pull them out and use them in a sales call. 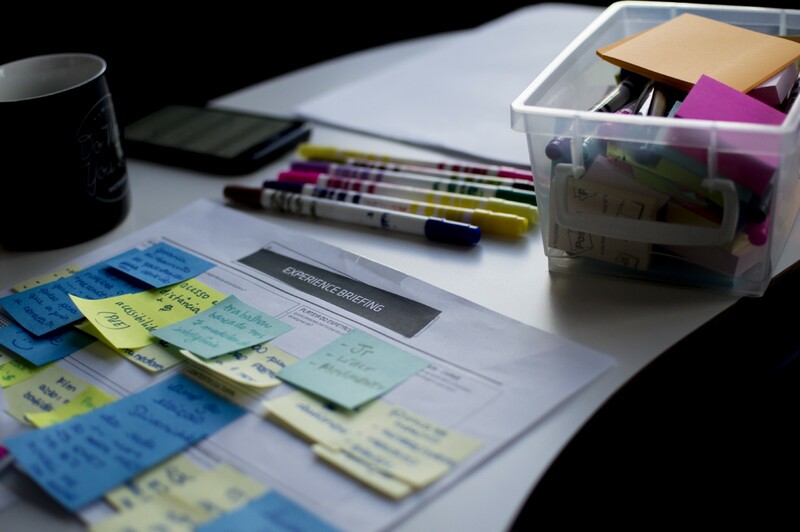 A lot has been written about battlecards for the onboarding usecase, in this post i will focus on the actual usecase for which the term battlecards was coined — handy resources that you use during the battle aka sales call. It is tempting to load battlecards with feature comparisons and pricing nuances. Stop thinking of your battlecards as encyclopedias, instead think of them as the cheatsheet you will carry on stage to give a speech. If you aren’t sure what I mean , ask your most experienced sales reps how do they actually answer a question about a particular competitor. I can bet that if they are really successful, they probably don’t rattle off a feature comparison. Take their answer as the starting point for your battlecard on that topic. It is likely a counter-question or a narrative that works well. Use your battlecards to share common narratives that have worked, feature comparison can follow. I haven’t referred to a Lonely Planet Guide in ages. I used to love them in the 2000s but today I prefer the web because I can trust it to have the most updated version of any piece of information I need. Your battlecards shouldn’t be a Lonely Planet Guide. They should be living documents that reflect your most up-to-date thinking. If they are tucked away in document repositories in pdf formats or static images, the chances are they will continue to ‘gather dust’. No sales person wants to make a fool of himself/herself in front of a customer by presenting information that is dated or wrong. Have a KPI that helps ensure that your battlecards are always up-to-date. 4. Whose job is it anyway? A lot of companies make it the job of sales enablement teams to create, maintain and manage battlecards. But you know what — your sales enablement team isn’t having 100s of conversations with customers and hearing about what’s happening in the market every day. For battlecards to be truly reflective of your organization’s latest thinking on a customer topic, involve your sales reps in keeping them up-to-date. Wikipedia wasn’t written by 1-person, your battlecards don’t have to be either!